what's cooking in my tuscan kitchen: Saturday, January 22 - my one week anniversary!! To celebrate: fusilli with shrimp and asparagus! Saturday, January 22 - my one week anniversary!! 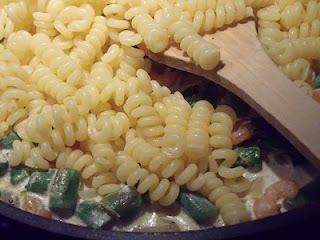 To celebrate: fusilli with shrimp and asparagus! To celebrate the first week of fun I have had cooking, photographing and writing for this blog, today I am making "Fusilli with Shrimp and Asparagus"! 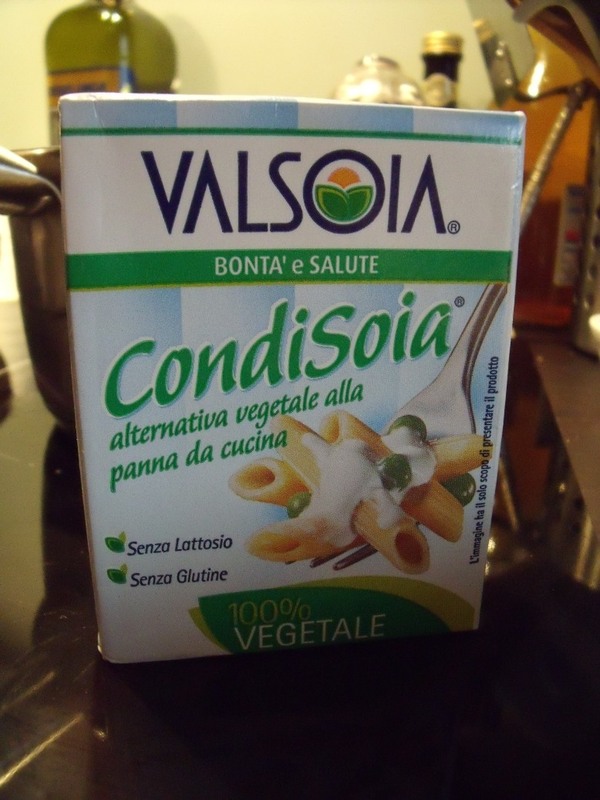 A popular item on many retaurant menus in Italy and really fast&easy to duplicate at home! 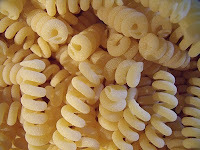 - 200 g (about 4.5 oz) of Fusilli, or some other curly pasta; you can also use tagliatelle (ribbon noodles) or tagliolini (narrow ribbon noodles) for this recipe. - Shrimp, the small ones you would use in a shrimp salad, for example. 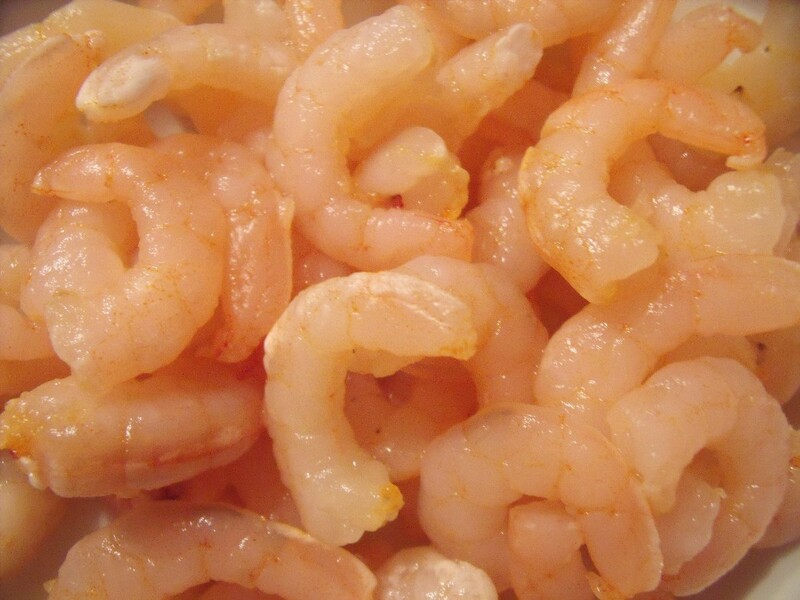 I used about 1.5 cups of small frozen shrimp (yes, I cheated). - 8 stalks of asparagus. 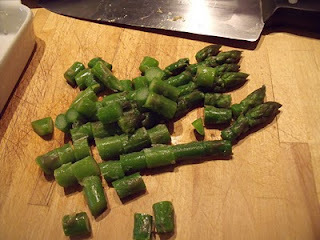 I also cheated here and used frozen asparagus, if you use fresh you should par-cook it. - About 1/3 cup of cream or a cream substitute. I used a soy based cream substitute, no lactose, no gluten, no cholesterol. Other ingredients: one small yellow or white onion, coarsely chopped parsley, dry white wine, olive oil, salt and pepper to taste, grated parmesan cheese. 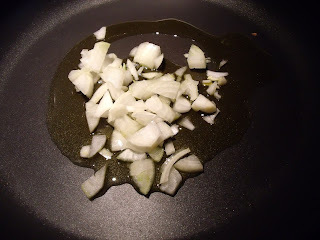 Coarsely chop the onion and start to sauté in 3 T of extra vergin olive oil. 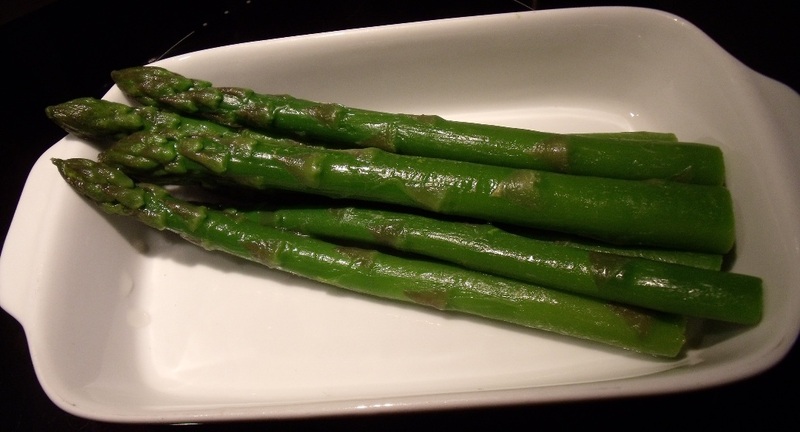 While it sautés, cut the asparagus stalks into 1/2" pieces. 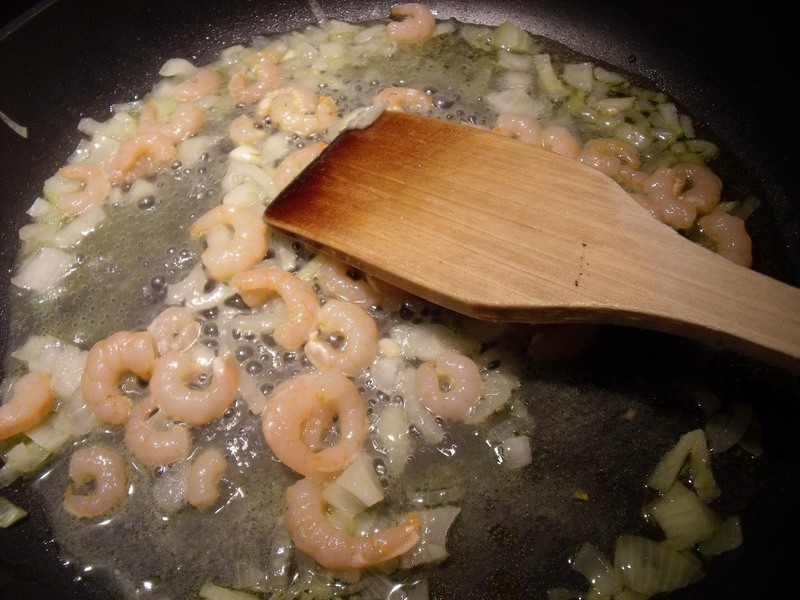 When the onion is translucent, add the shrimp and when it starts to sizzle add a couple of spashes of dry white wine. 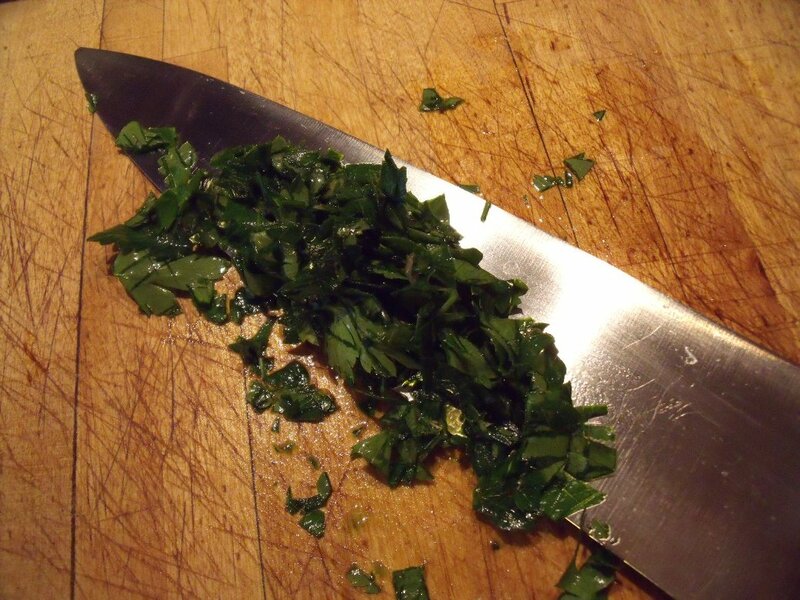 Coarsely chop the parsley. Add the parsley and cream (or cream substitute) to the pan. Before it starts to boil, turn off the heat. At this point the water is probably boiling. Put the pasta in to cook. When it is cooked the way you like it. Drain the pasta and add it to the pan with the sauce. Turn the heat up to high and toss the pasta so that it is evenly coated with the sauce. 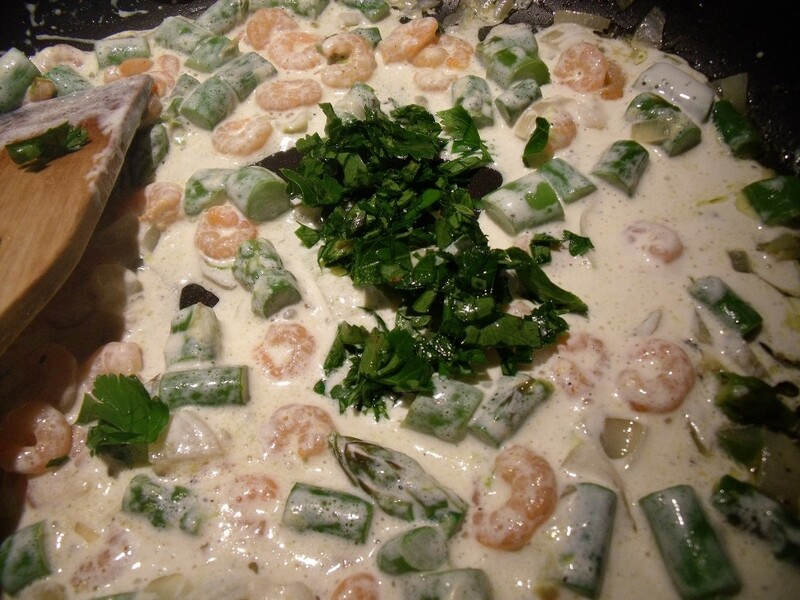 Sprinkle with grated parmesan cheese and more chopped parsley if you want. This sounds good too. I have enjoyed your blogging. Thanks Donna!